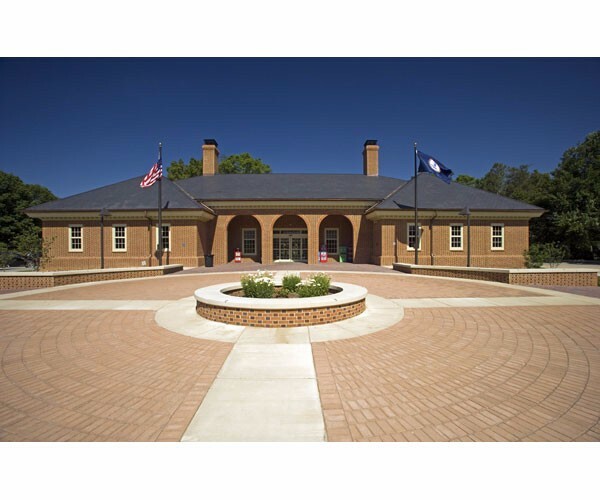 VDOT’s Rest Area at New Kent County off Interstate 64 westbound is the first Commonwealth of Virginia-owned facility to have officially earned LEED Gold certification. 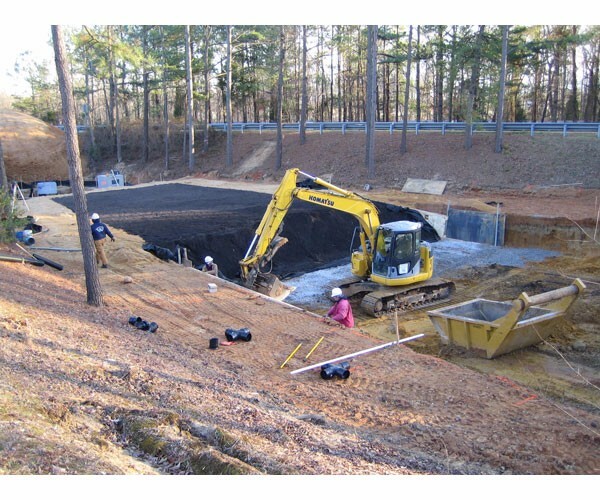 The Rest Area anticipated LEED Silver but achieved LEED Gold Certification by using a ground-source geothermal HVAC system and by harvesting rainwater from the roof for non-potable use, and by specifying recycled and environmentally friendly materials. 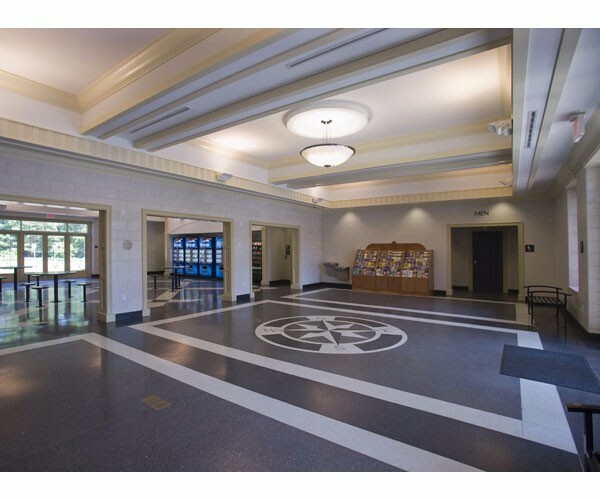 Flooring is terrazzo made from 70 percent recycled glass, and the new roof shingles are made from 100 percent recycled rubber content. 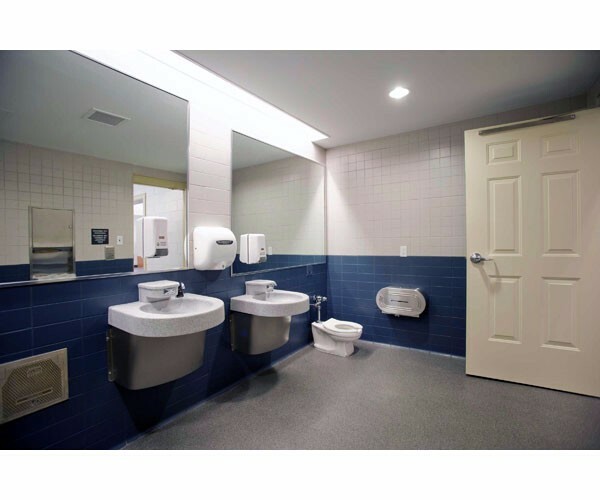 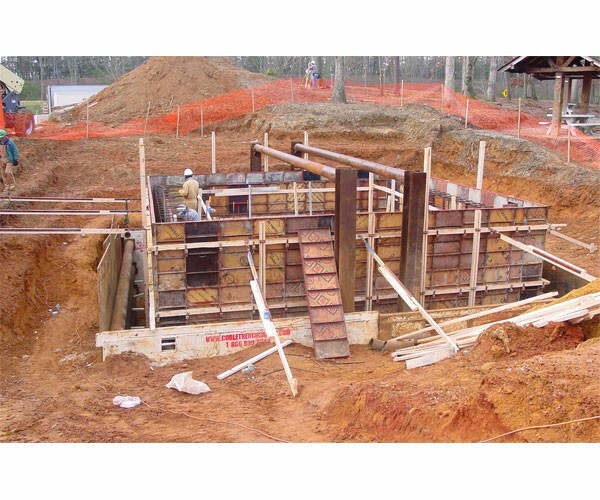 Energy efficient systems include a 32 vertical well geothermal system; a 100 percent outside air energy recovery unit; high efficiency heat pumps; and instantaneous point source water heaters at each restroom sink.